A lot of companies are family-owned, and many have been around for a long time. In fact, you’ve heard these claims so many times, they’ve probably become meaningless to you. But at R.A.K.I. Electronics Recycling these words are anything but meaningless! They’re at the core of everything we do. They drive the experience our customers have with us. Let’s unpack these words, and inject some meaning back into the equation. Being family-owned means we don’t answer to shareholders, or to a Board of Directors. The only people we report to are our customers. This allows us to conduct our business as ethically and efficiently as possible. In today’s day and age, that’s huge. We aren’t forced into decisions that make us to lose our way, and we don’t have to cut corners or compromise our values. That’s why our facility looks like a pharmacy, and not like a junk yard. It’s neat and clean. Our family has a motto: “Say what you mean, mean what you say.” Since we’re family owned, that’s our business motto, too. This means our customers can trust us…no matter what. Experience is a funny word. People say the word as if it merely means “hey, we know a lot about the industry.” And…we do. But let’s really dig into what “experience” means. Experience means we’ve made all of our mistakes already! We’ve had a lot of time to learn what works, and what doesn’t, and we’ve discovered better ways to do things, too. But we don’t have any disrespect for industry newcomers. We were newcomers once too. We just know how much we didn’t know the first year we were in business. 25 years of experience gave us our “No Landfills” policy, which means you can feel 100% confident your electronics are actually being recycled safely rather than polluting our earth. 25 years of experience taught us how to protect a customer’s sensitive data, even as we carefully wipe it from their hard drives. It’s allowed us to pursue top-level industry certifications, letting us back up our claims that we are both reputable and reliable. We now recycle roughly 200 tons of waste every single year. We’re proud of that accomplishment. It means we’re serving our commitment to make the world a better place. Why should you worry about recycling your electronics? Security. If you simply throw a computer into a dumpster you’re risking all of the data which is stored on that hard drive. That could mean crooks get away with sensitive financial data, trade secrets, and more. You play a role in protecting our natural resources. Raw materials from computers and electronics are far more valuable than you imagine. When we get them from things we’ve already used, we don’t have to pull as many of these materials out of the ground. You keep dangerous chemicals out of our groundwater and soil. According to the EPA, recycling one million laptops saves the energy equivalent to what’s used by more than 3,500 US homes in a year. For every million cell phones we recycle, 35 thousand pounds of copper, 772 pounds of silver, 75 pounds of gold and 33 pounds of palladium can be recovered. These seem like pretty worthy goals to us. Besides, we make the entire process very convenient. 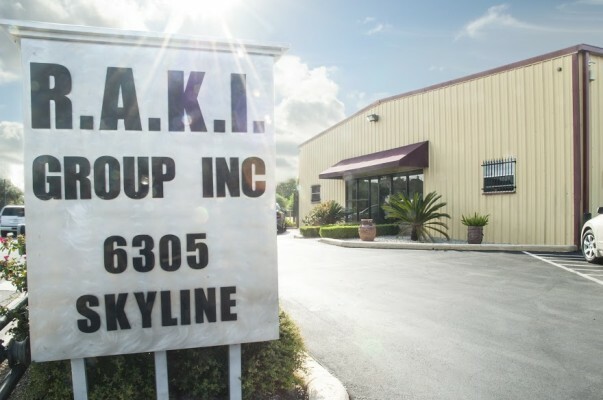 We’ll pick up your materials if you’re within a 100 mile radius of Houston, TX. This means you don’t have to haul materials anywhere. You can just tell us what needs to go and we’ll take care of the rest for you! Meanwhile, you can tell all of your customers about all of the good you’re doing for the environment. People like to work with conscientious companies committed to good stewardship. As a family-owned company, we’re free to do business with a handshake and a smile. Some paperwork follows, but once we’ve said we’re going to do something, we do it. We trust you to do the same. That’s probably why we have customers who’ve been with us for 25 years (people who stuck with us even through the years when we didn’t have the great experience we do today). We haven’t just met customers. We’ve met lifelong friends. Nobody we do business with is ever treated as “just another dollar sign.” You’re members of our community, and we value you as such. So, can we solve your electronics waste disposal problems? If so, we can’t wait to shake your hand.